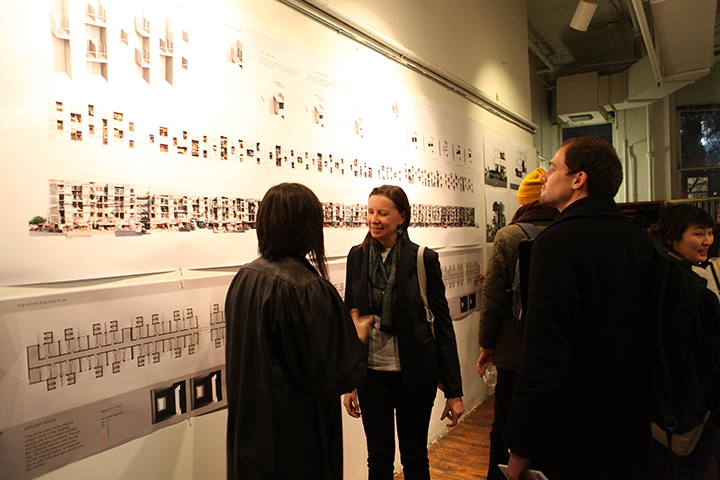 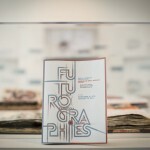 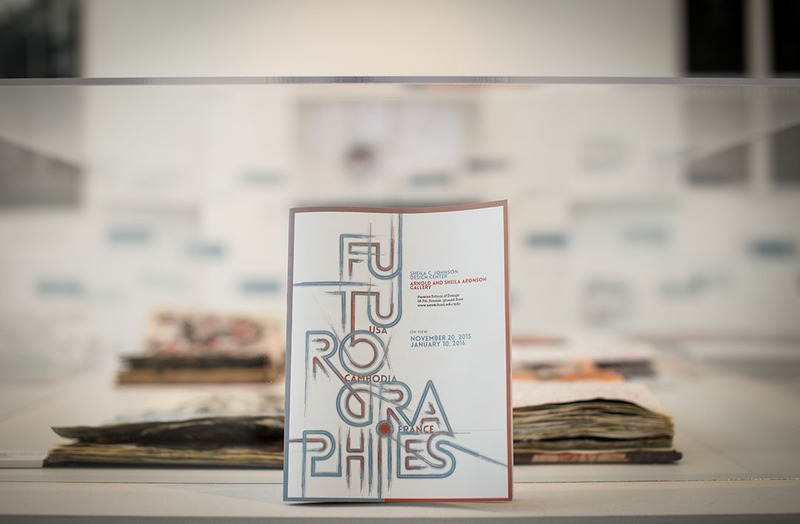 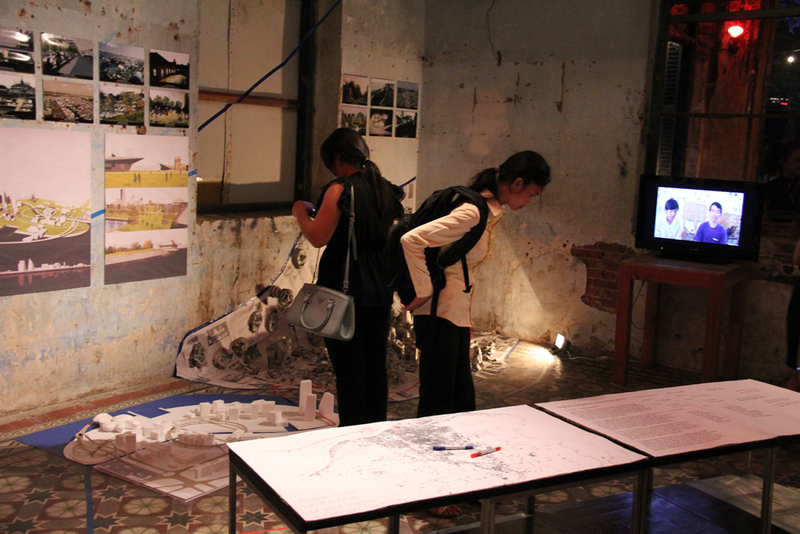 Genealogy of Bassac is part of the event ” Futurographies: Cambodia-USA-France” which is organized by PARSONS The New School for Design. 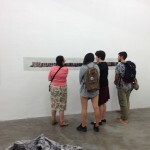 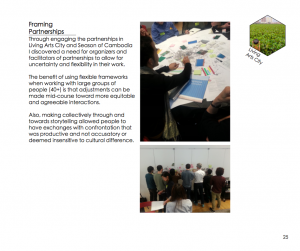 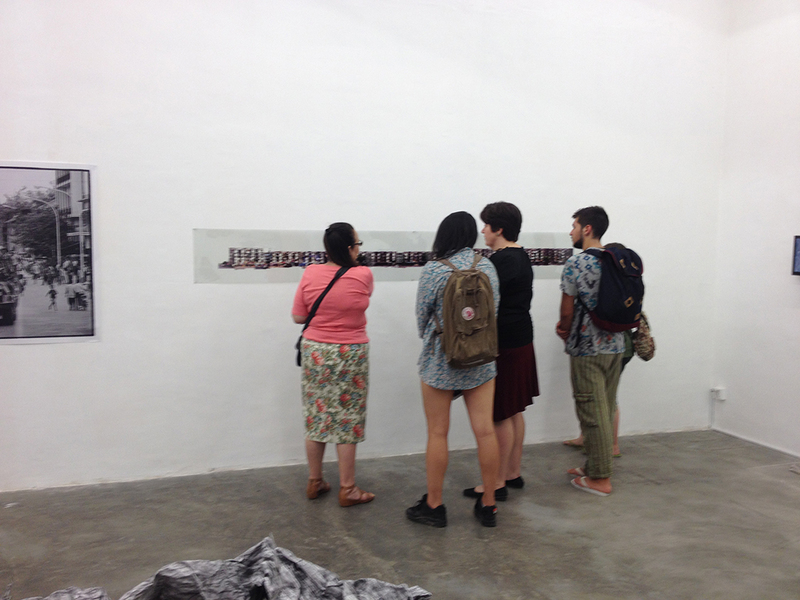 The Vann Molyvann Project: Summer School 2015 is an ambitious, participatory exercise which equally addresses invited contributors and a broad public. 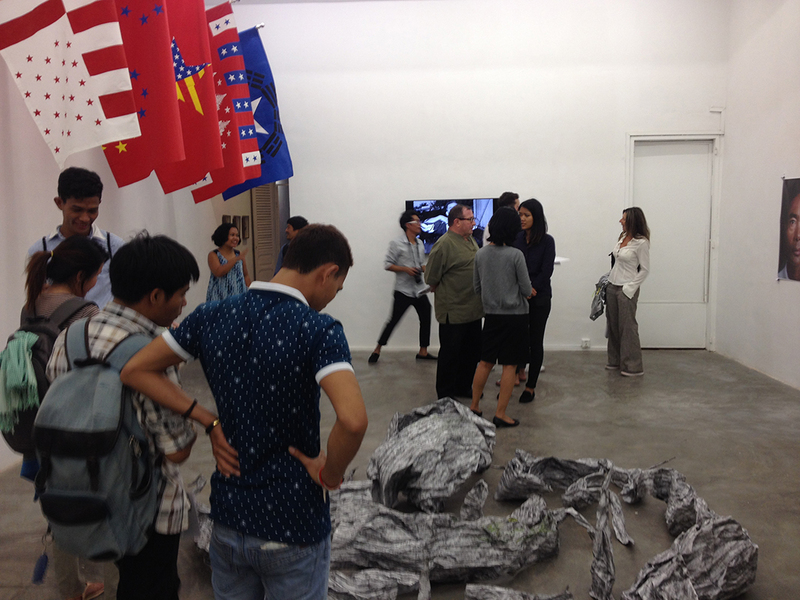 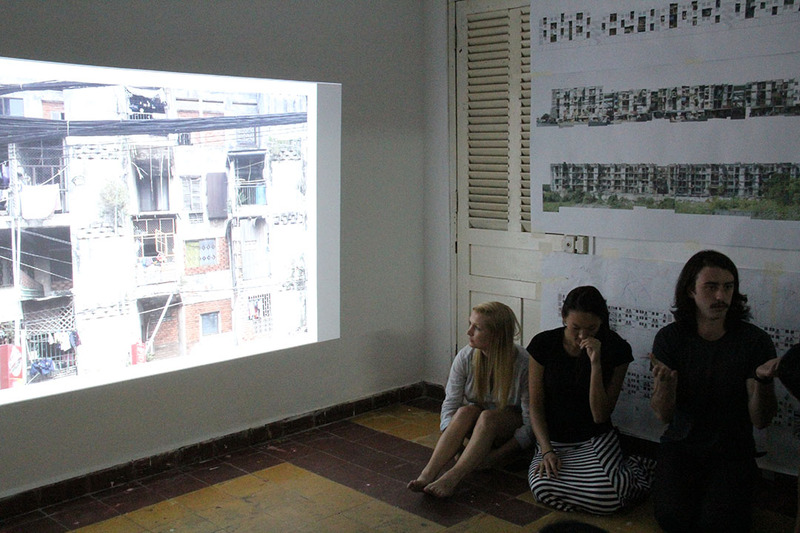 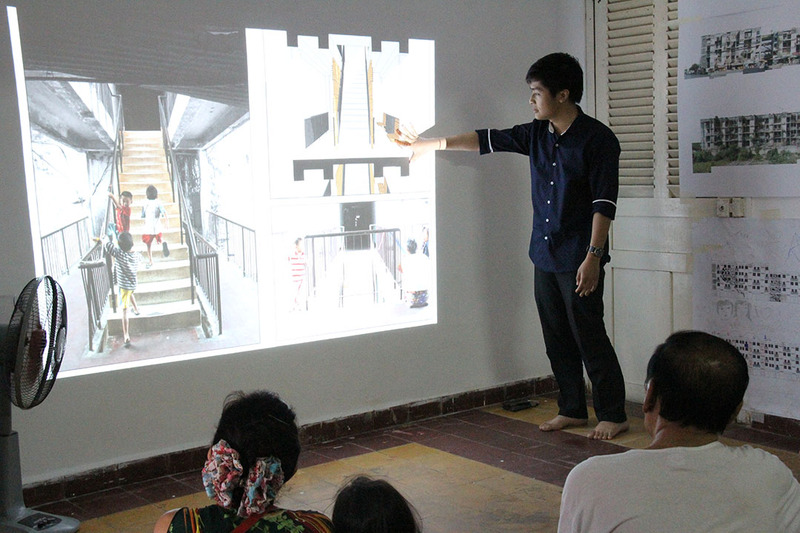 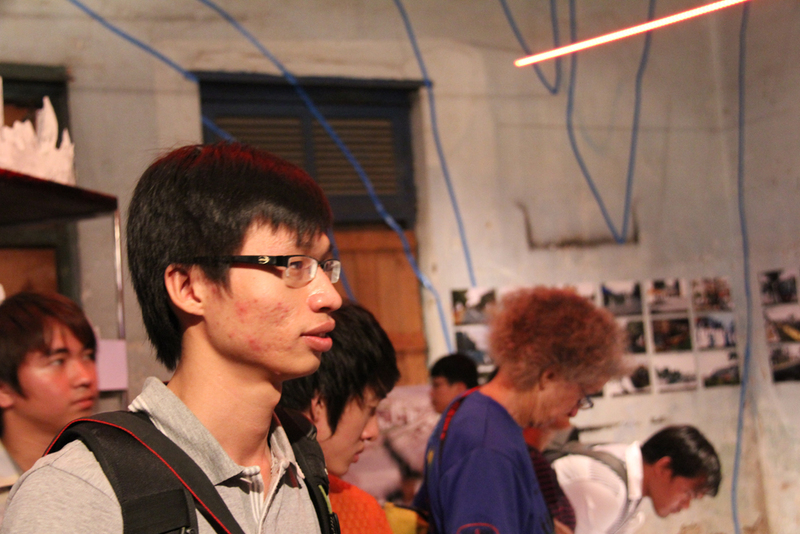 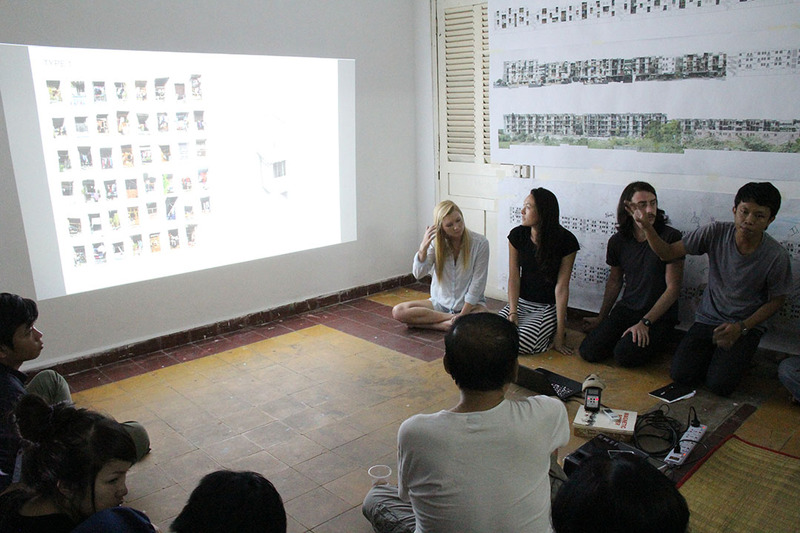 Students and researchers will occupy the gallery space at SA SA BASSAC in Phnom Penh for a period of three months, working amidst an evolving exhibition of models and drawings of Vann Molyvann’s designs. 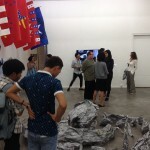 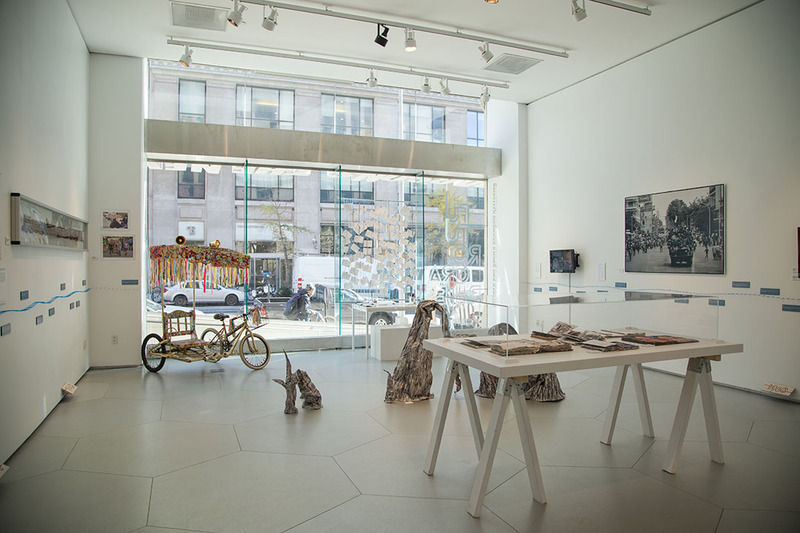 The space is open to the public. 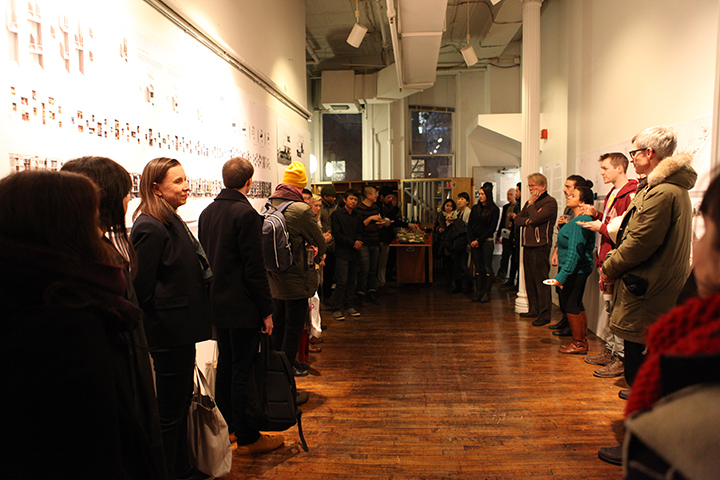 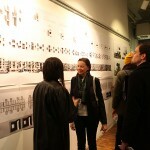 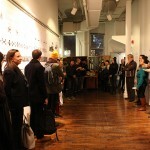 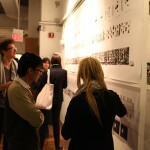 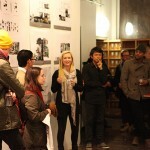 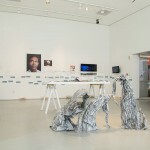 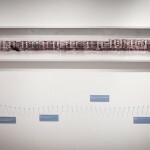 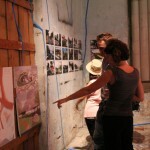 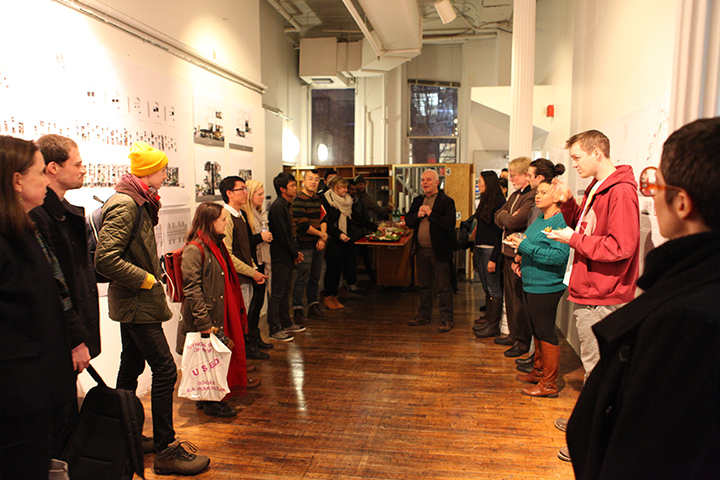 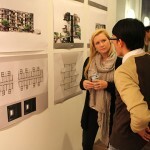 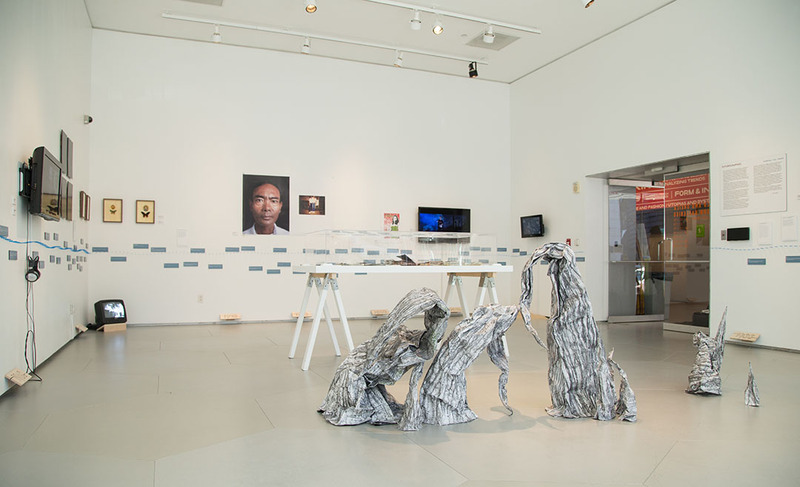 Visitors are welcome to engage with the students and researchers during studio hours and throughout our public programs. 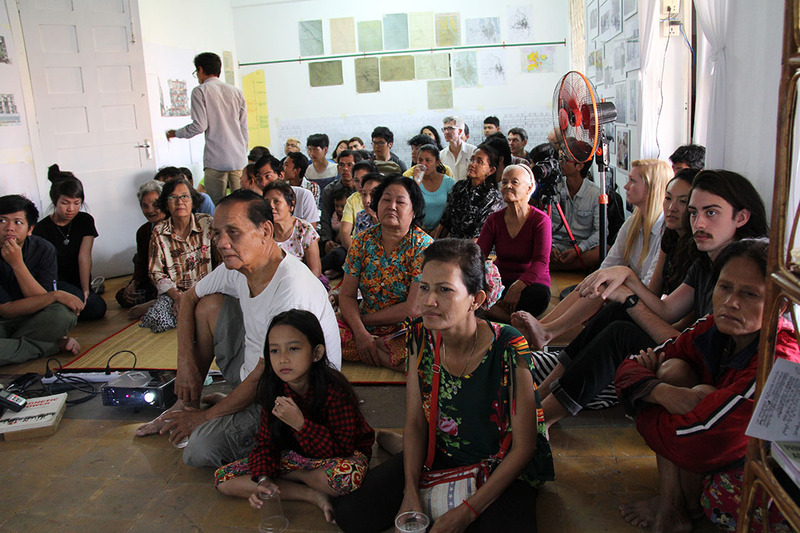 This event is about Genealogy of Bassac project (www.genealogyofbassac.wordpress.com) and book launch of LAC , New York, meet Phnom Penh. 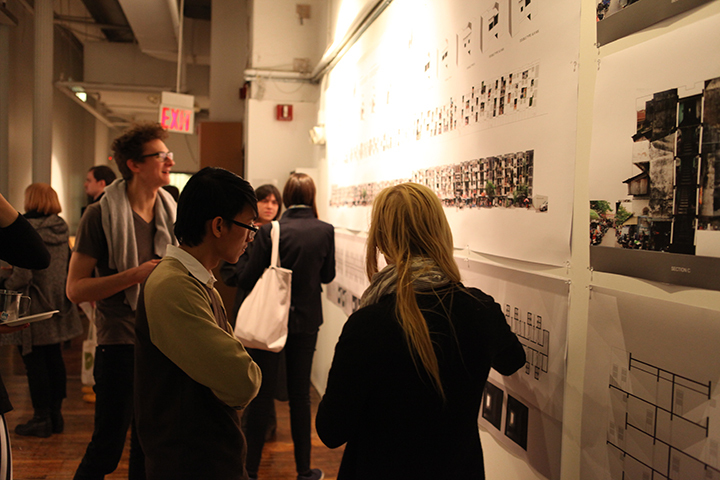 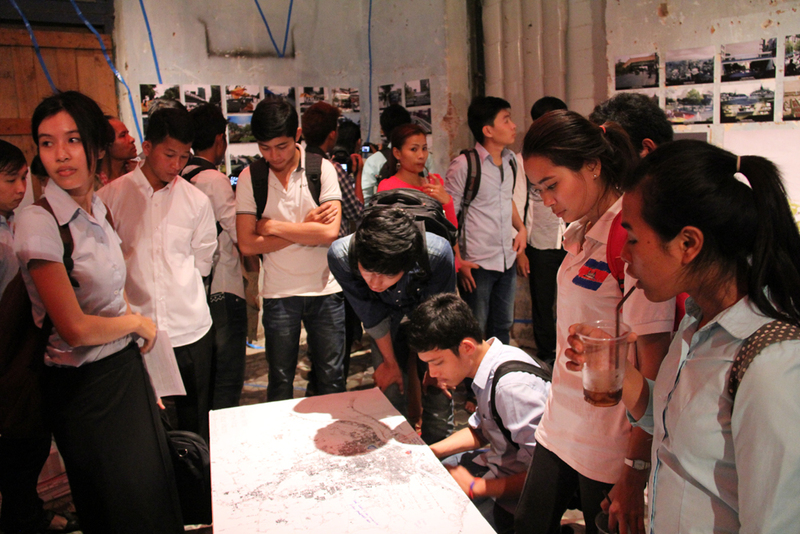 Phnom Penh, meet New York, on 3 March 2015 at PARSONS School of constructed environment, New York city. 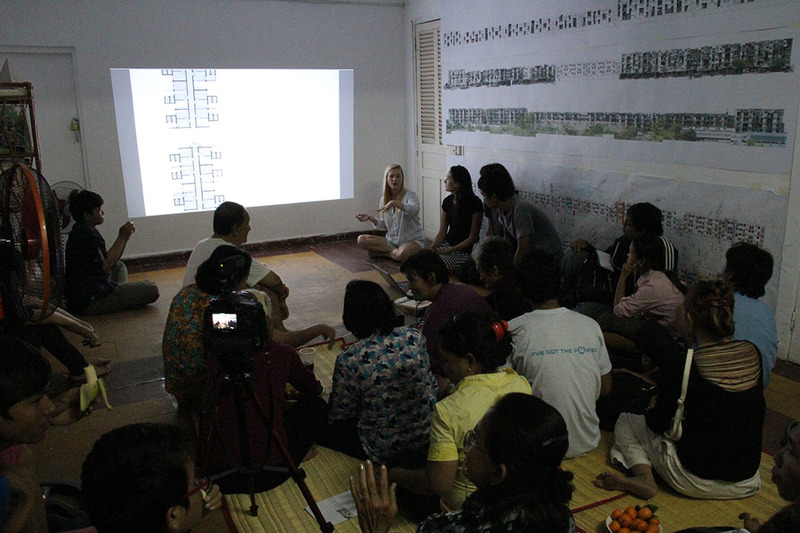 This is an open studio of Genealogy of Bassac project which hosted by SaSa Art Projects and supported by Parsons the New School for Design. 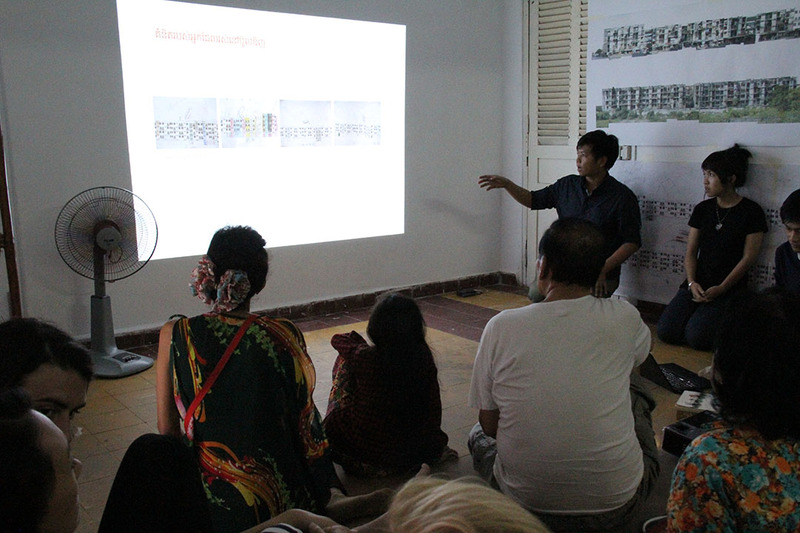 The event aims to introduce and make awareness to the White Building’s community about the project; to make dialogue between the community and other people about the genealogy of Bassac and the White Building. 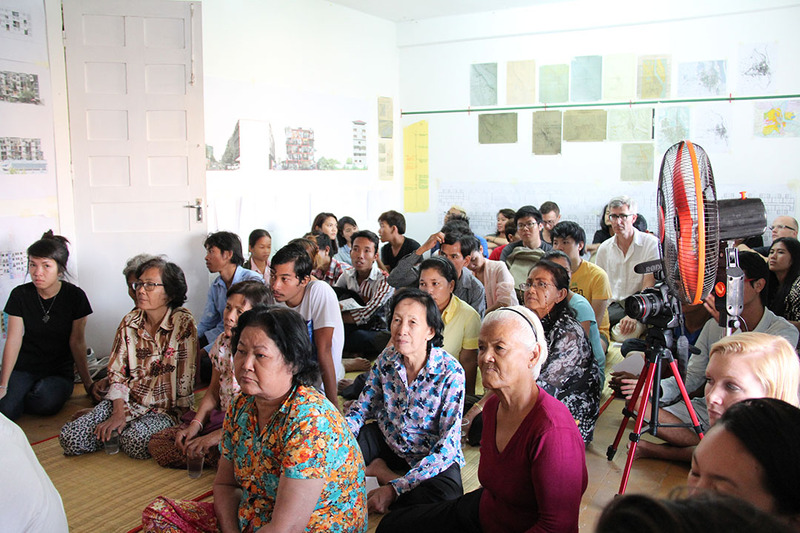 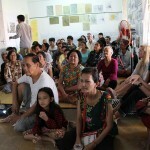 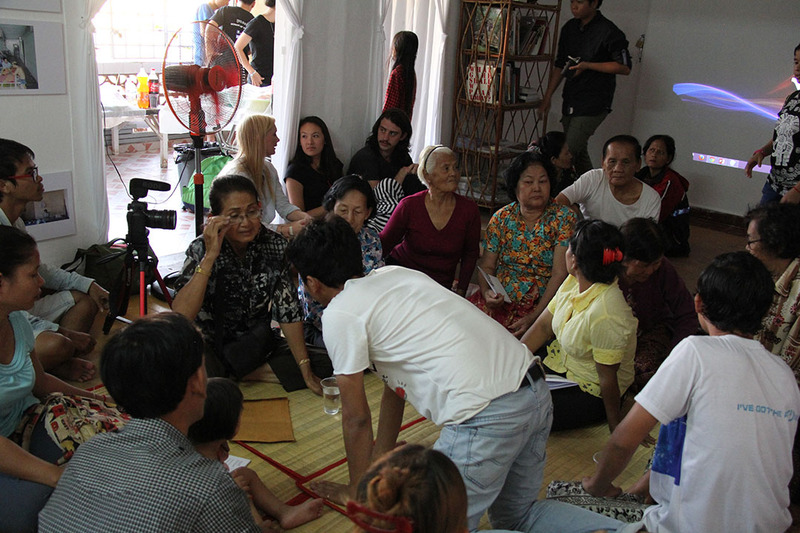 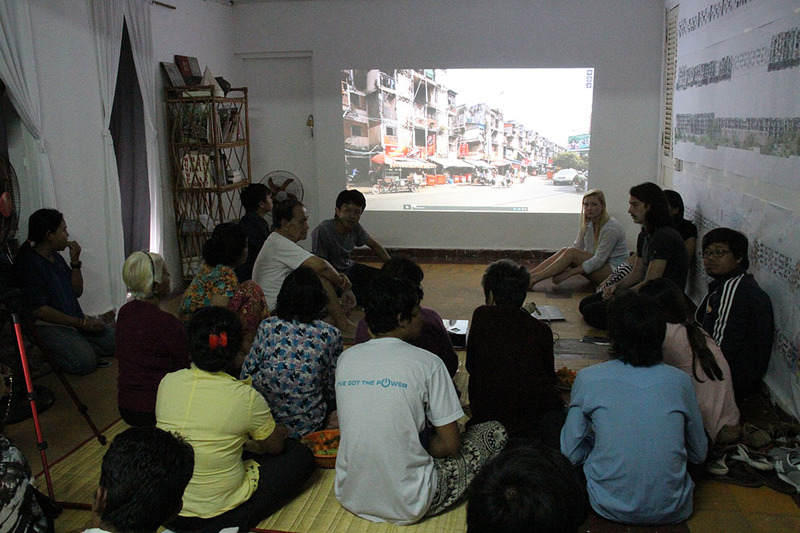 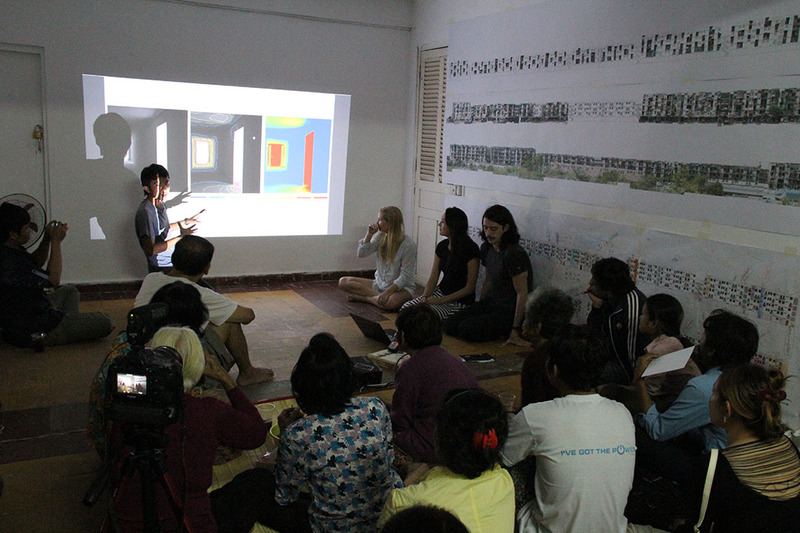 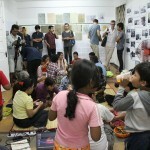 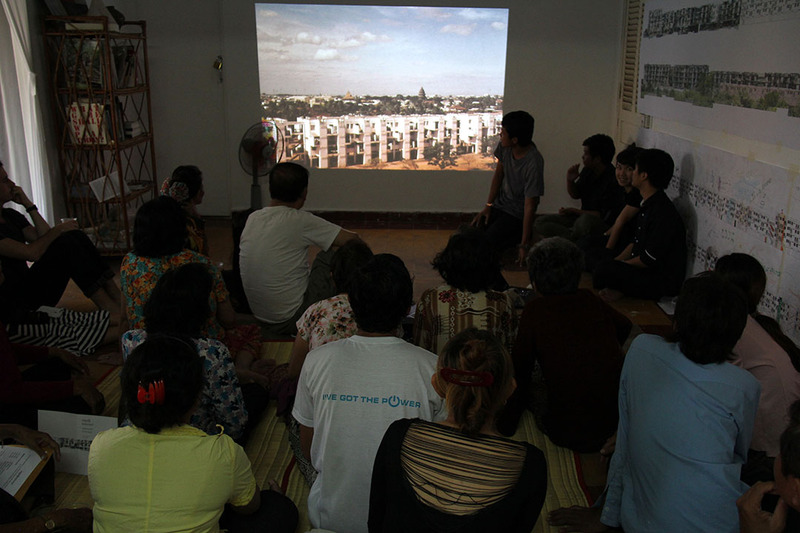 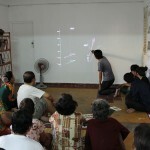 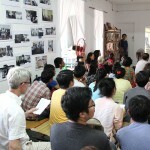 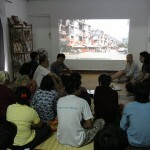 It is a continued event of symposium on January 9-10 2015 under the topic: Time, Space, Voices: Phnom Penh’s White Building which hosted by Bophana center and organized by SaSa Bassac and SaSa Art Projects. 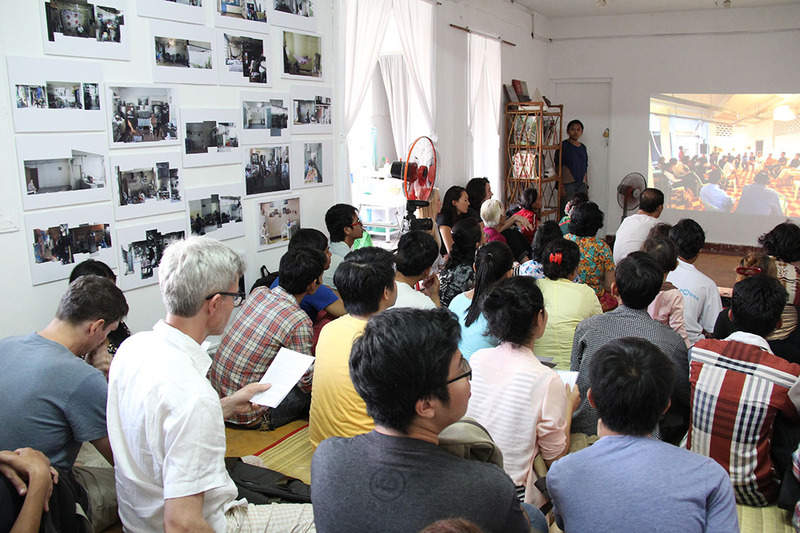 The studio of Genealogy of Bassac opened on January 18 2015. 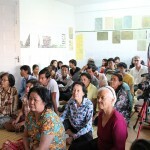 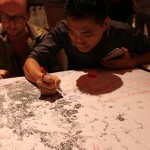 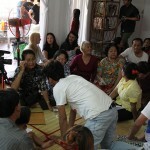 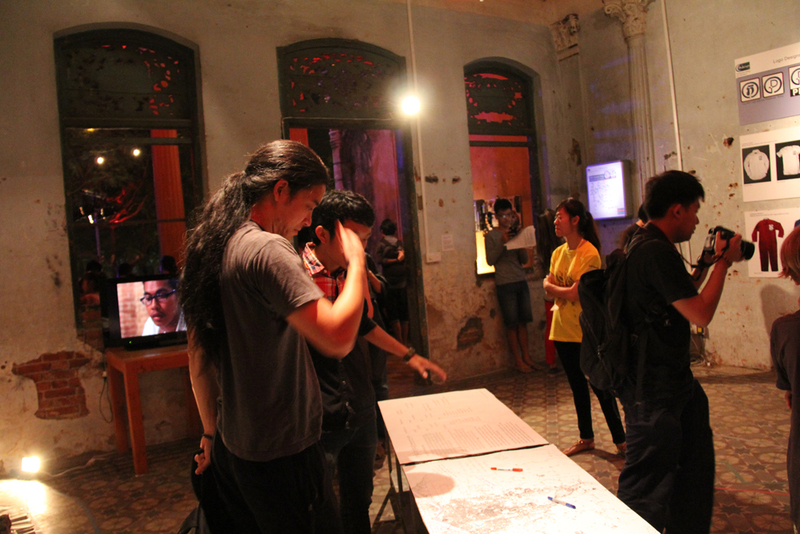 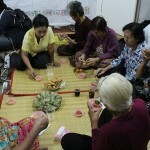 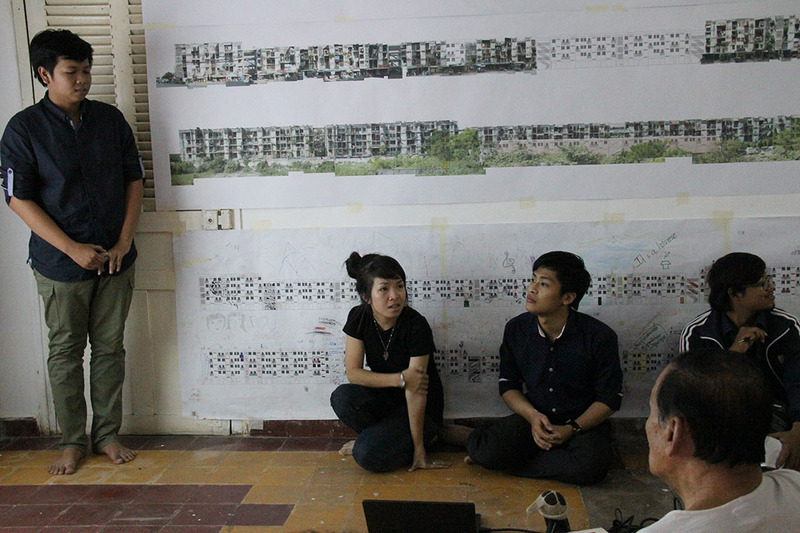 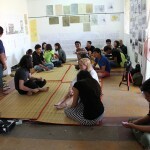 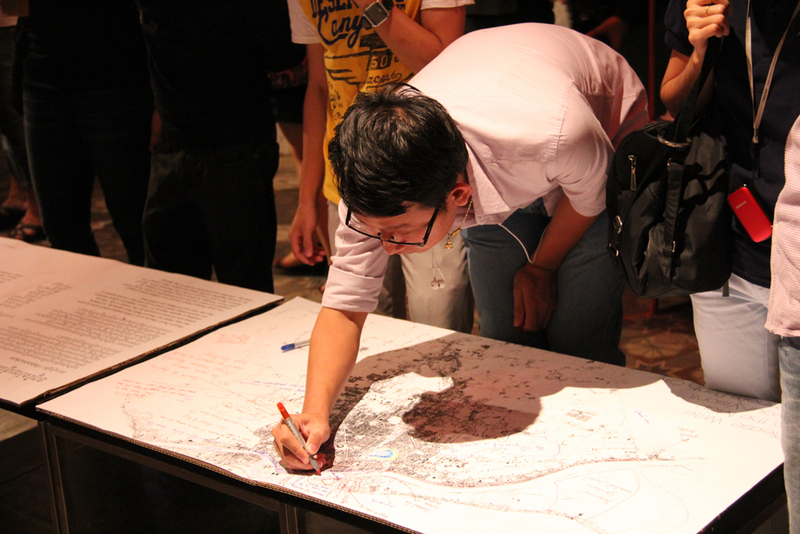 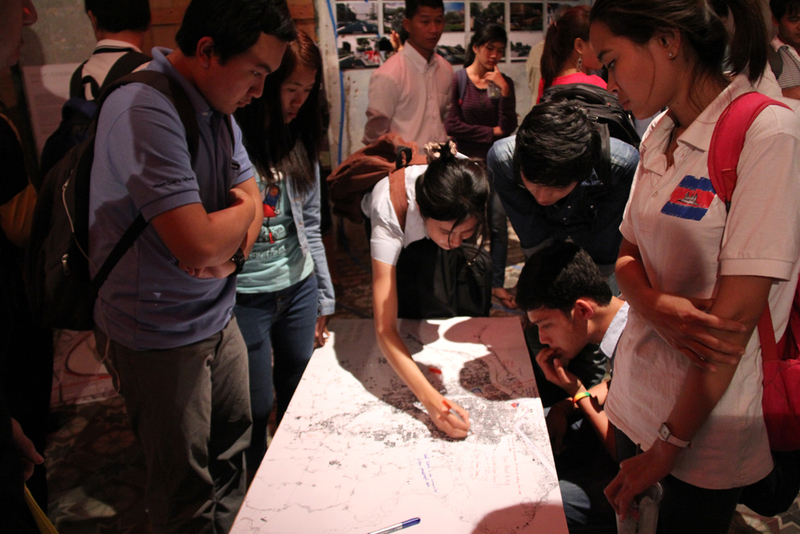 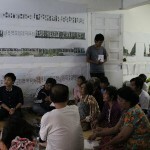 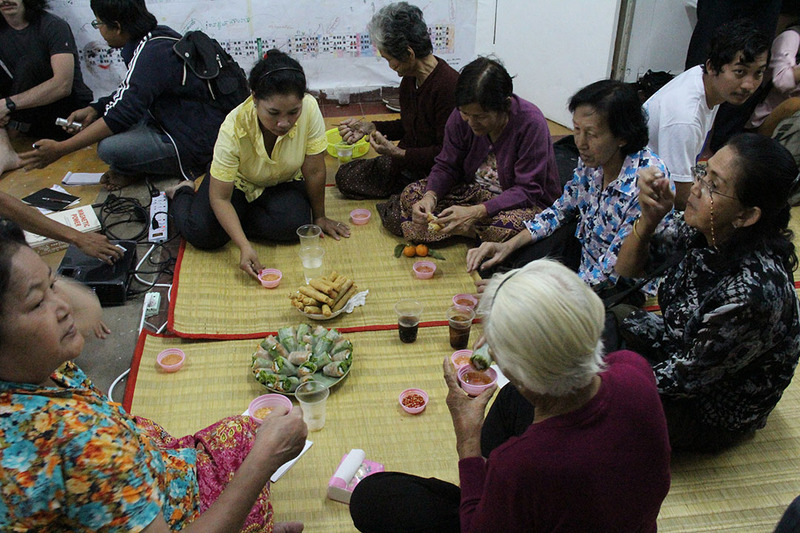 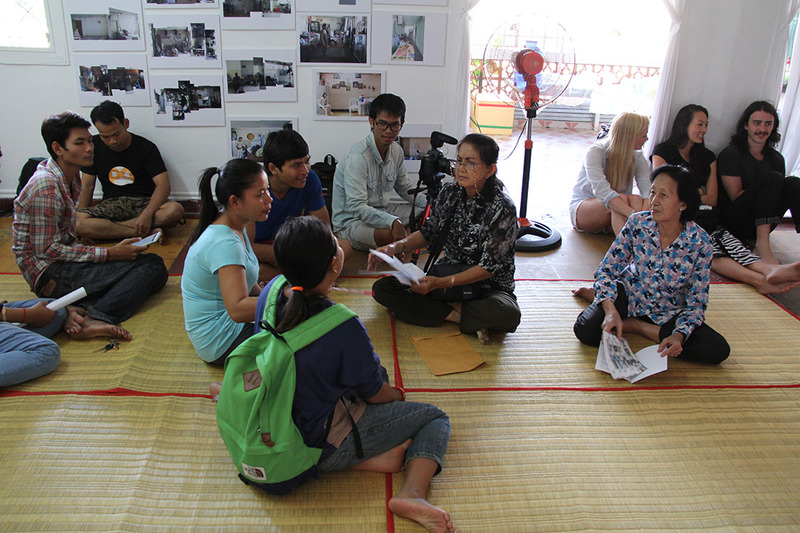 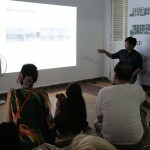 This project will map the genealogy of Bassac area, Phnom Penh as a community based, participatory exercise. 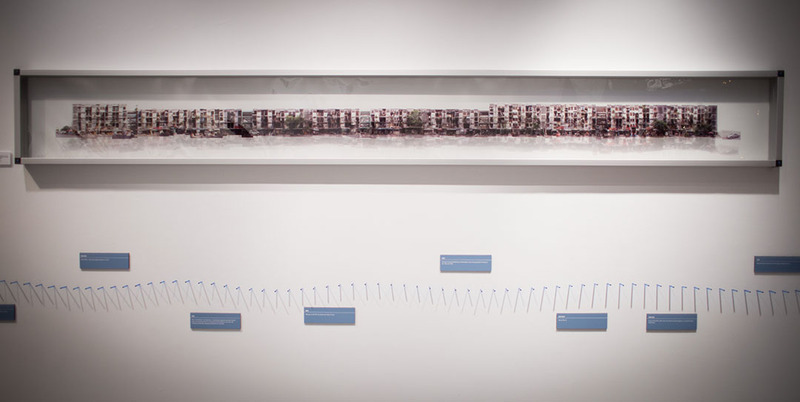 A key objective is to discover ways to visualize the differences of urban form rather than continuities, and the characteristics of urban ruptures through various historical eras. 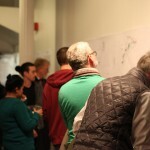 The mapping exercise will take place within and be informed by the artistic community of the famous White Building, currently under threat of demolition. 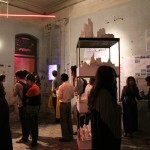 The project aims to learn what is existing now in Bassac, and what was in the past, creating a new dialogue which can serve as a basis for ideas about the future of the city. 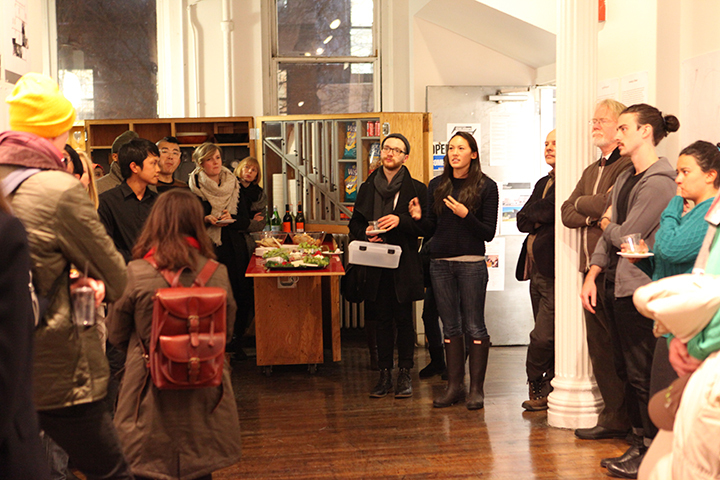 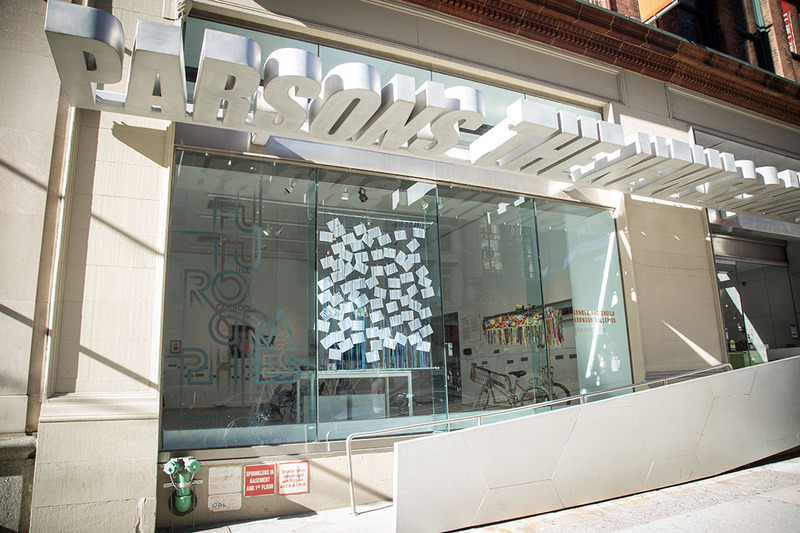 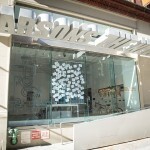 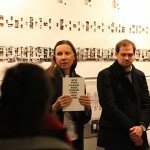 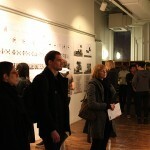 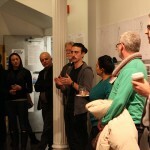 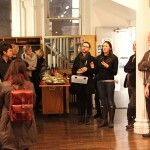 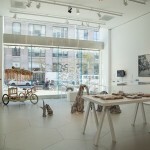 Parsons the New School for Design: Danielle BOWLER, Catherine SIMS, Michael Mc DOWELL. 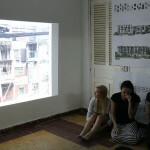 Municipal apartment ,known as white building, was built in 1963 by architect Lu Banhap. 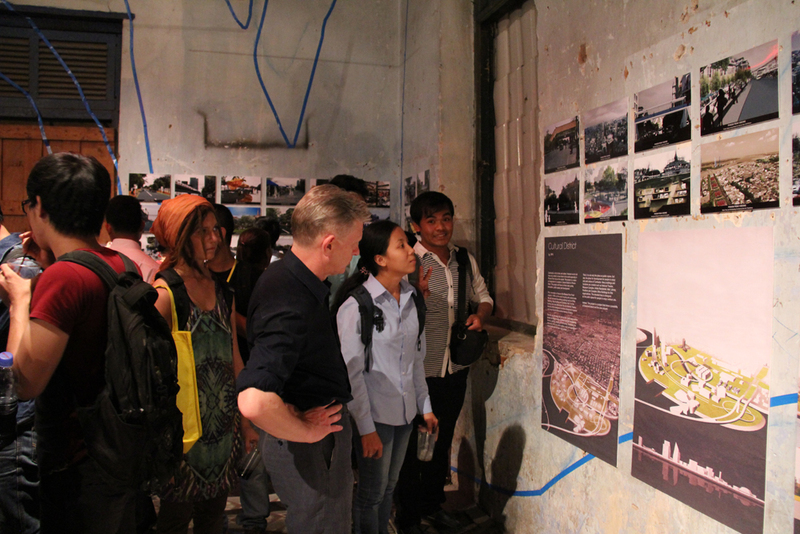 It was part of Bassac River Front urban development project in 1960s. 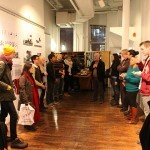 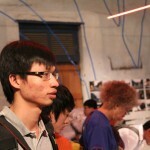 The building is home for many kind of people including artists and it is a historic and vibrant building in the city. 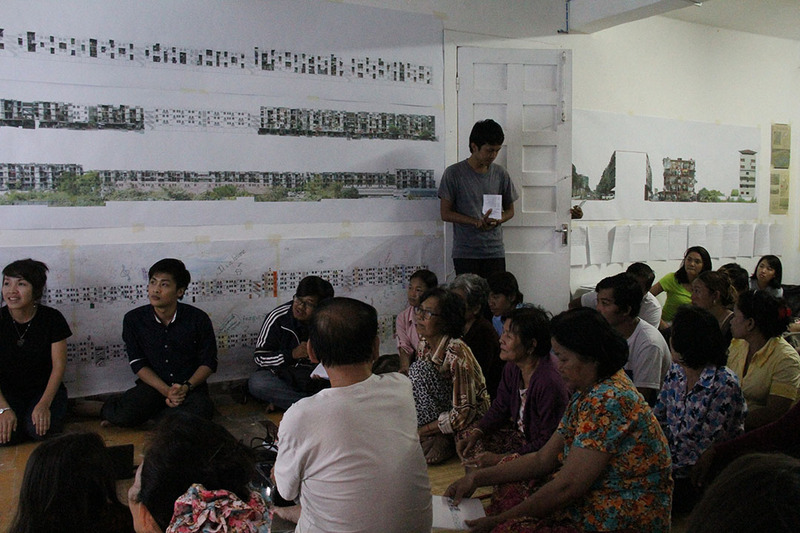 Currently the building is under threat of eviction and demolish because government privatized the land to private company. 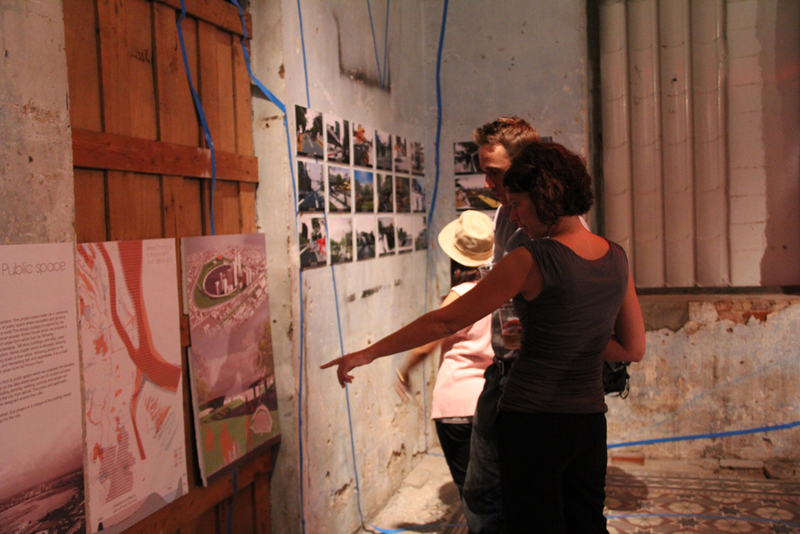 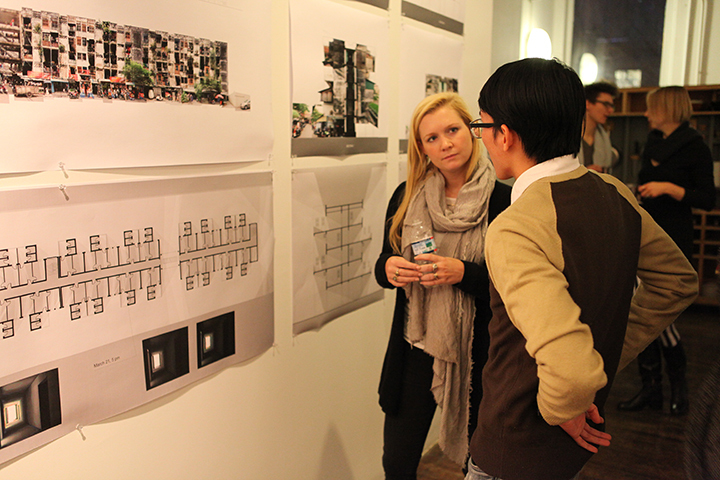 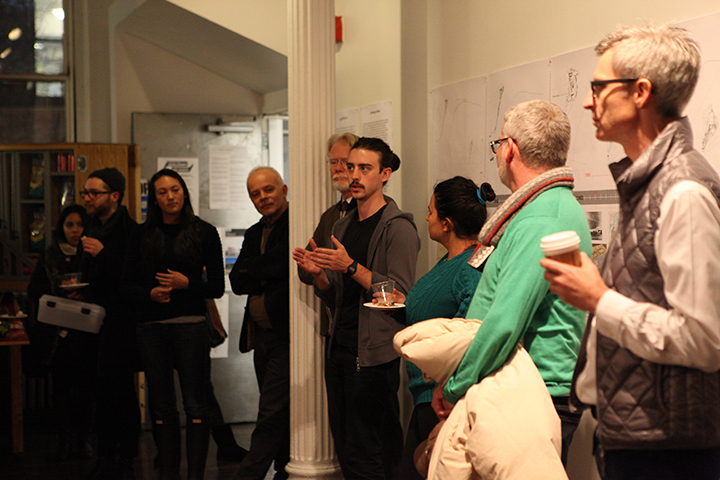 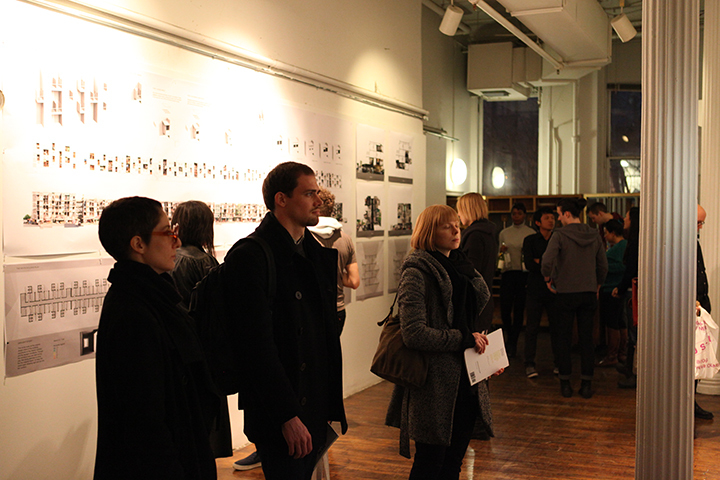 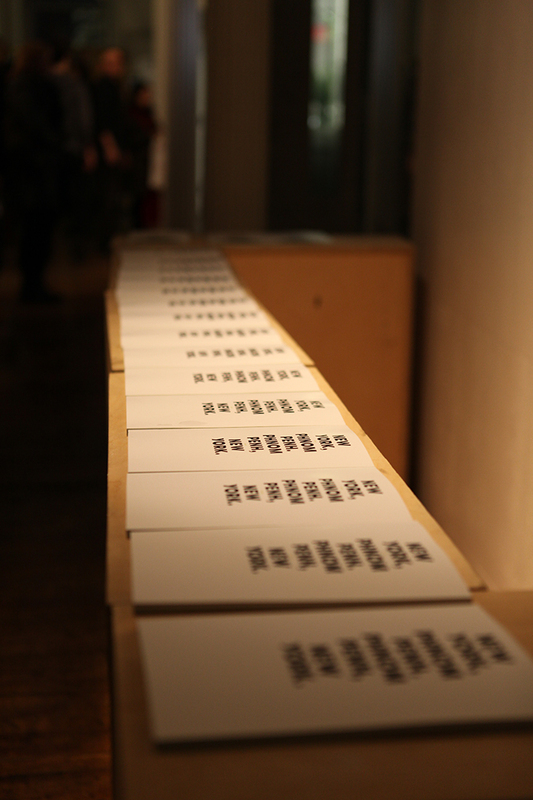 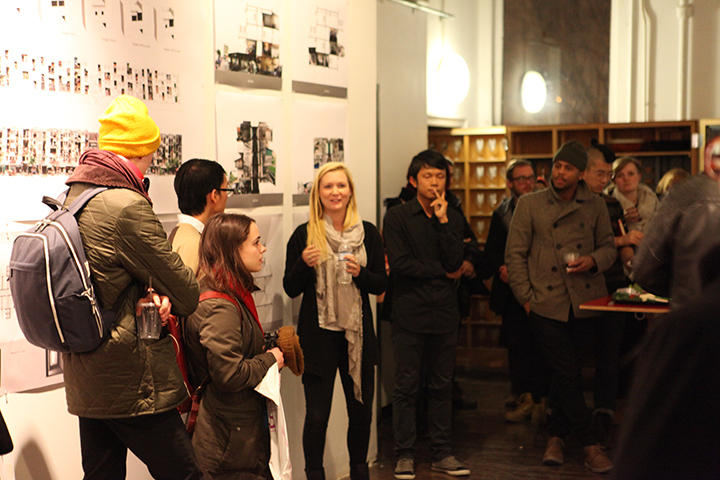 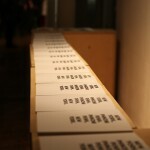 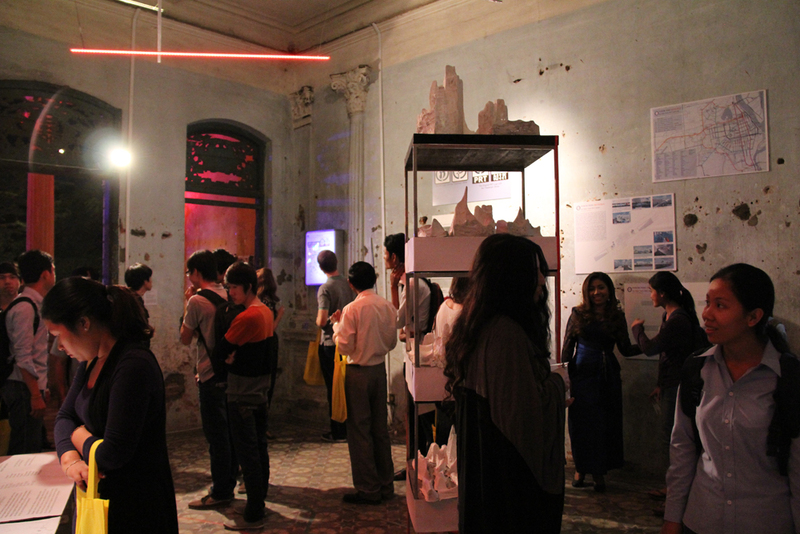 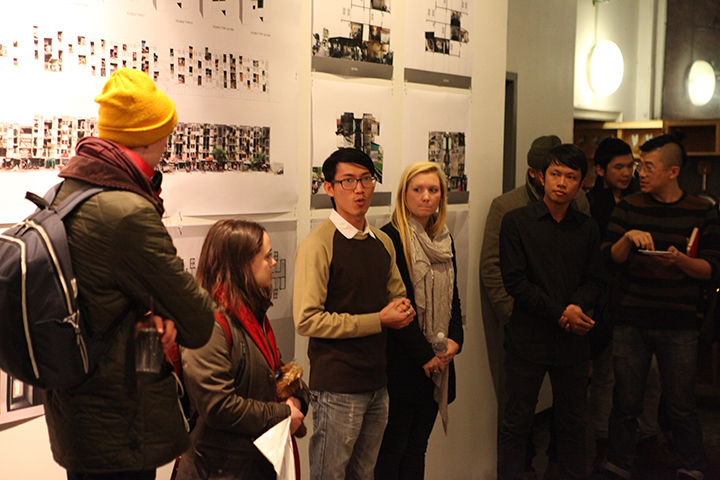 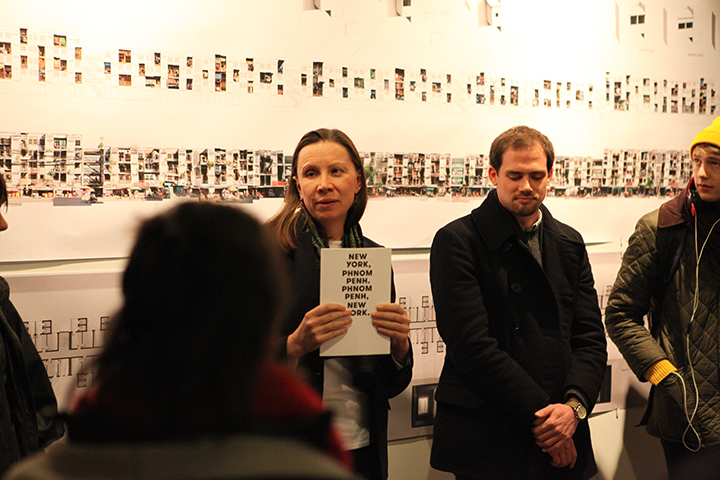 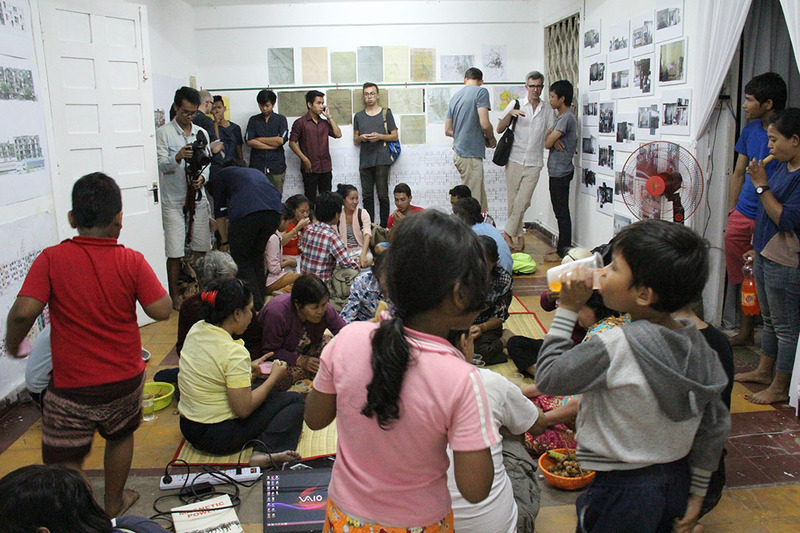 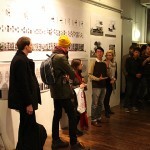 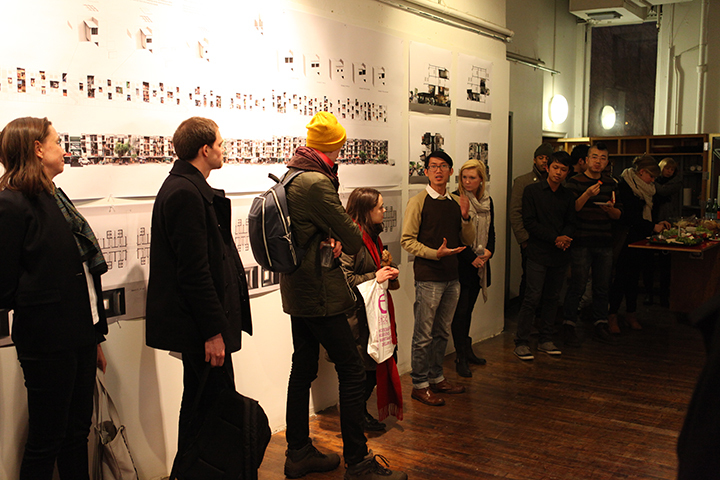 On 14 January 2014 , as part of Genealogy of Bassac project which supported by SaSa Arts projects and PARSONS the new school for design, there was a house warming party that is the opening studio event to introduce the project to the communities and young people of the white building. 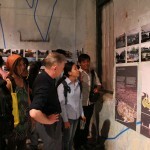 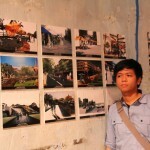 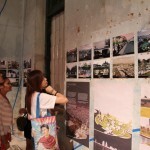 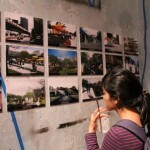 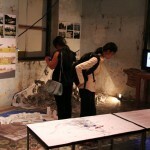 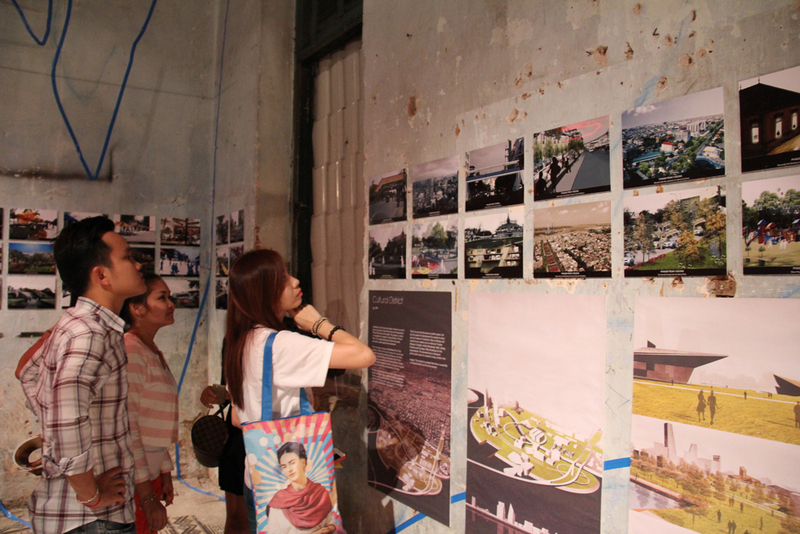 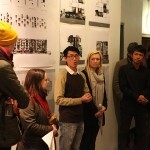 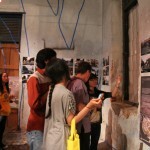 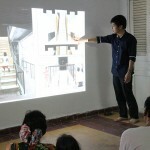 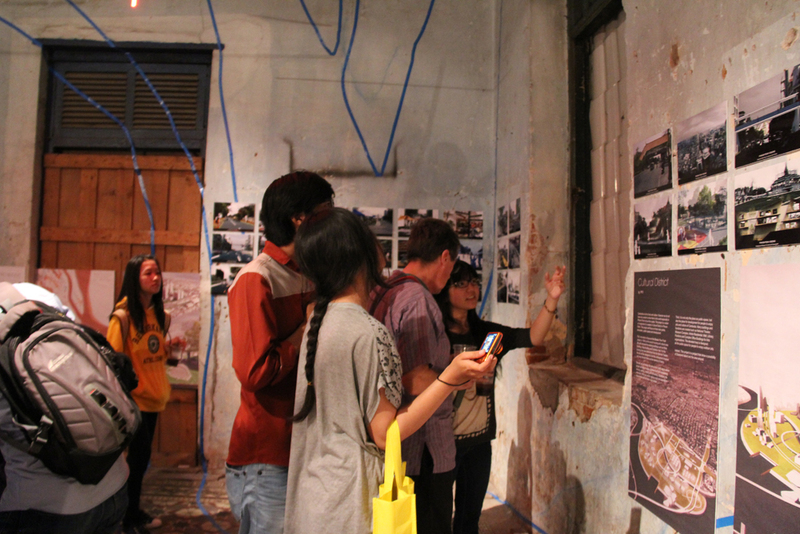 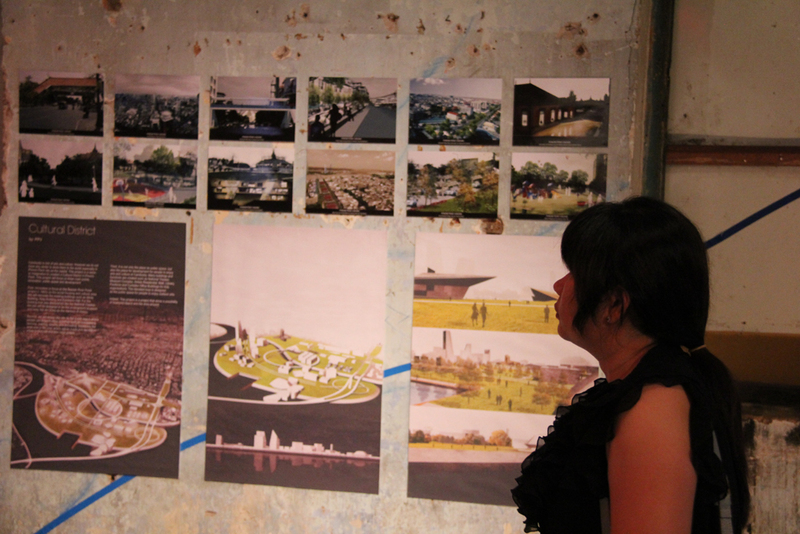 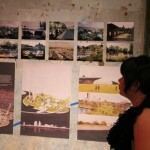 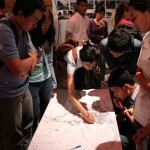 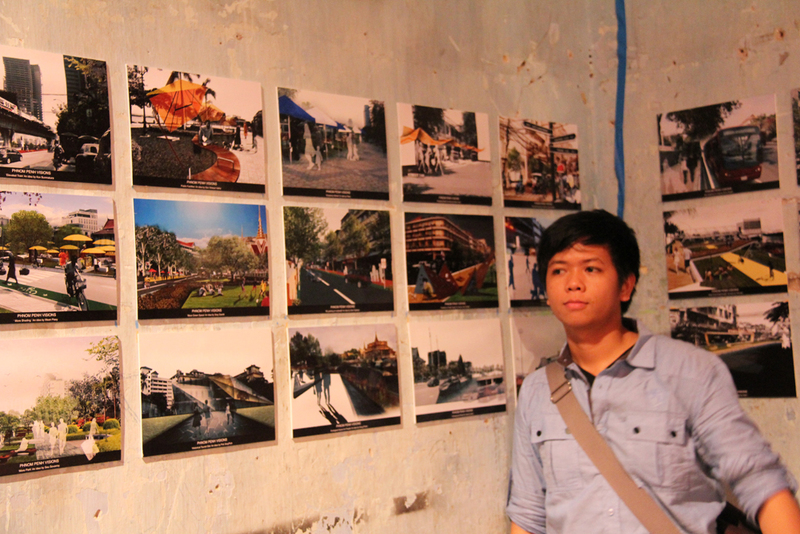 Phnom Penh Visions is an urban project which aims to show the new ideas for Phnom Penh from students, architects, artists and all kind of people for the future of the city. 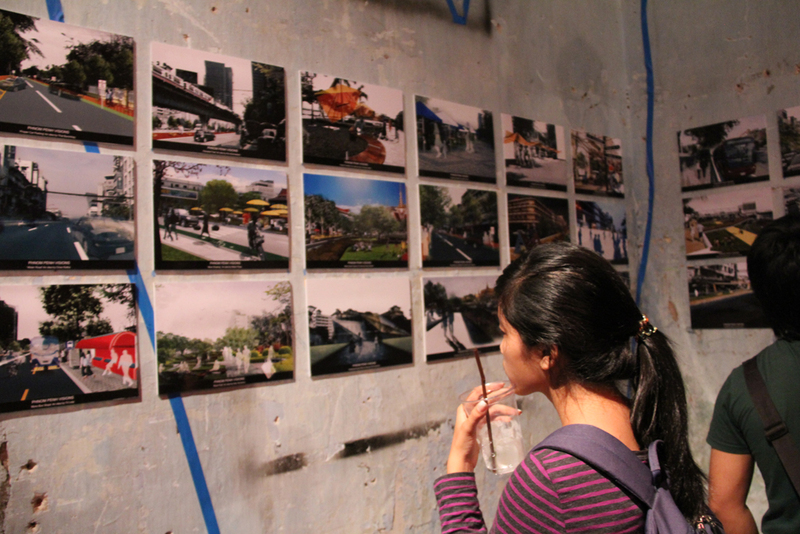 We are creating a regular feature in 7 days magazine where readers can submit ideas about what to do with any unused space in the city; any and all ideas are welcomed. 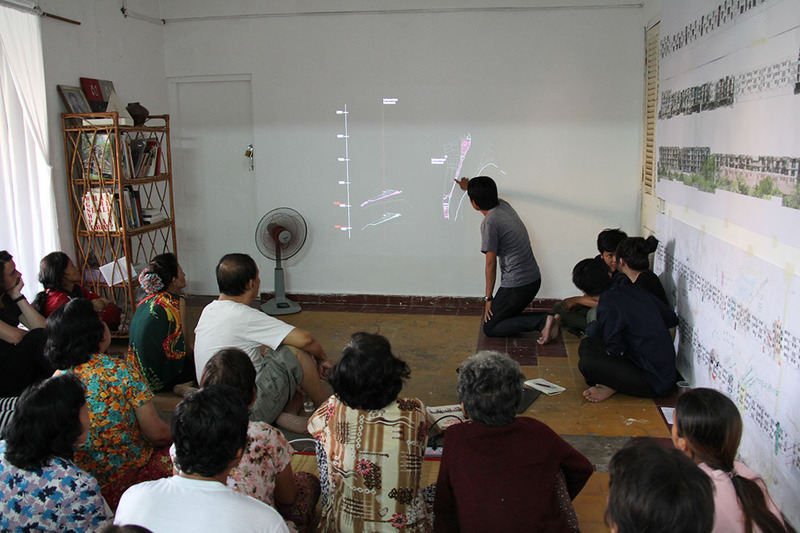 This time Phnom Penh Visions is a collaborative project between Lumhor Journal and Cambodian artists, Kong Vollak and Prom Putvisal, to show a new platform of ideas for Phnom Penh and it is part of Our City Festival 2014. 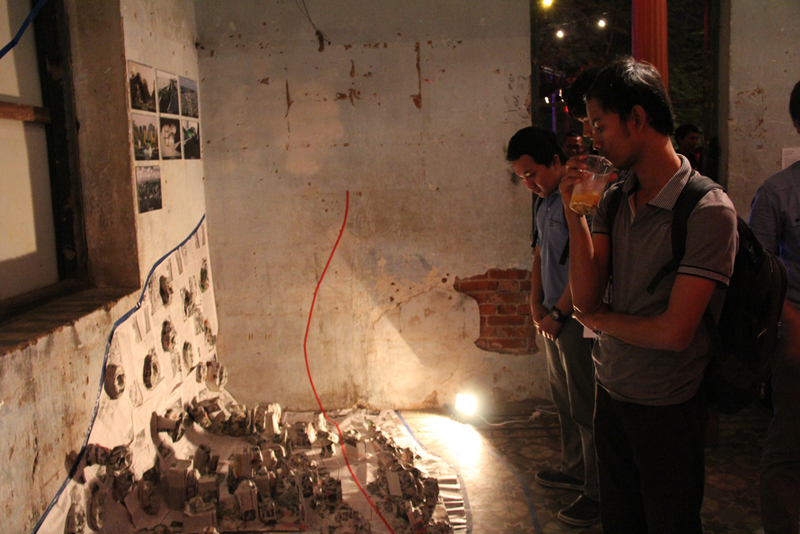 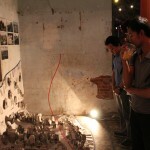 We will try to bring together all the ideas and show them through the drawing and physical model of Phnom Penh city in the festival. 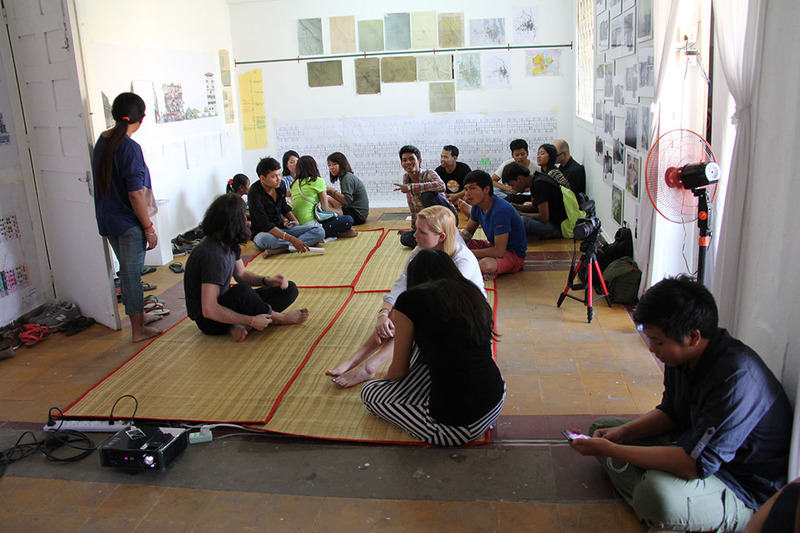 The Living Arts City Workshop is the collaboration between Parsons The New School for Design, Royal University of Fine Arts, SA SA Bassac, Urban Voice Cambodia and Lumhor Journal. 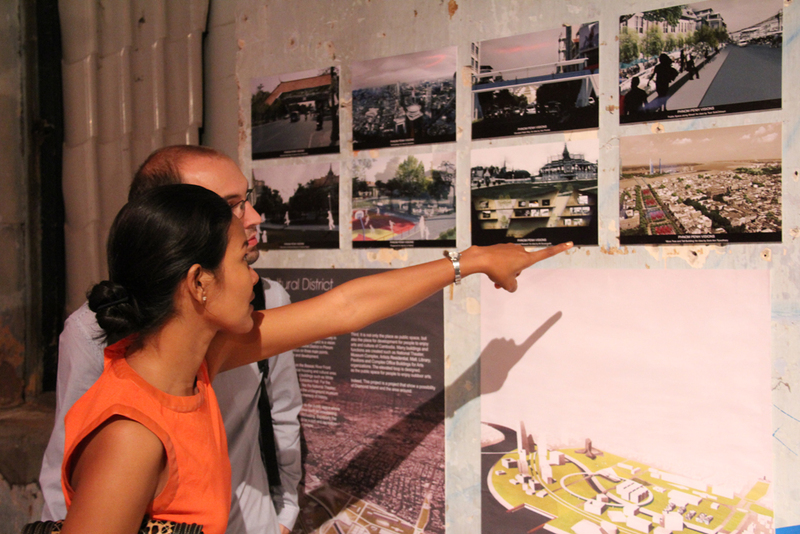 This workshop continues an international exchange that came about with Season of Cambodia, an arts festival in New York City presented by Cambodia Living Arts. 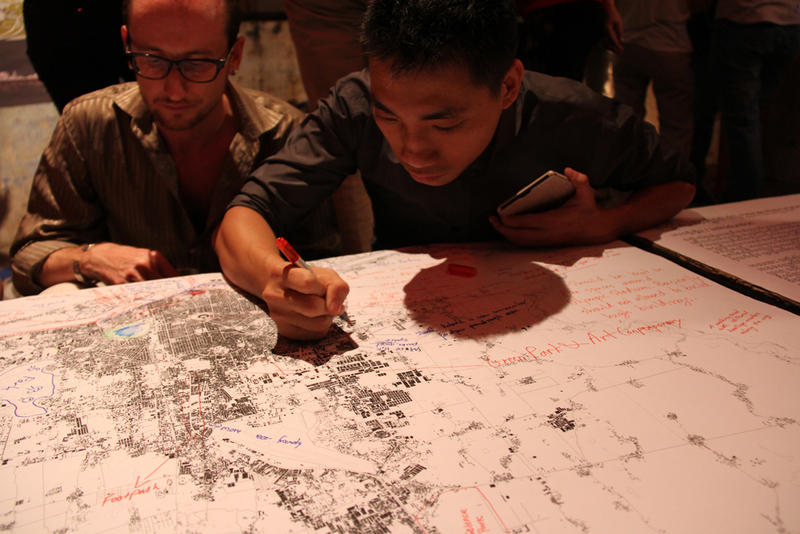 The workshop will bring together a wider array of urban actors that are not usually part of developing and designing the city. 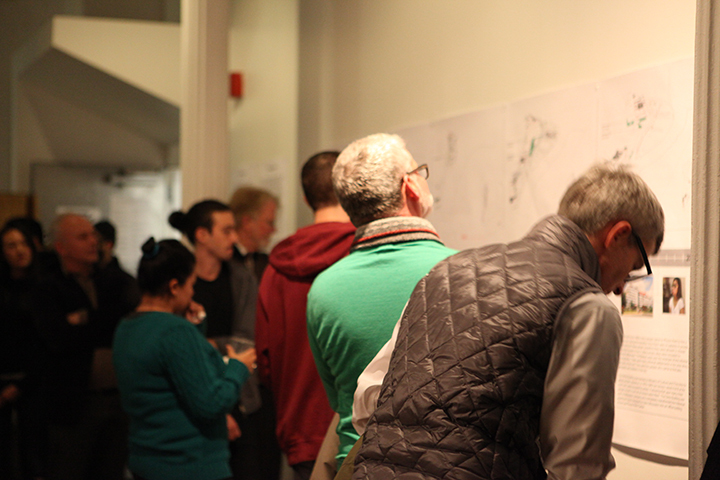 Artists, students, cultural institutions and other people who interested in contributing to ongoing discussions about the city where they are living are invited. 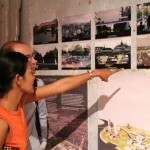 It will be an interactive dialogue that addresses the problems and potentials of the city and then we will find solutions and ideas for the city in the future. 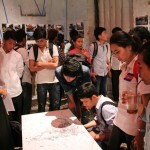 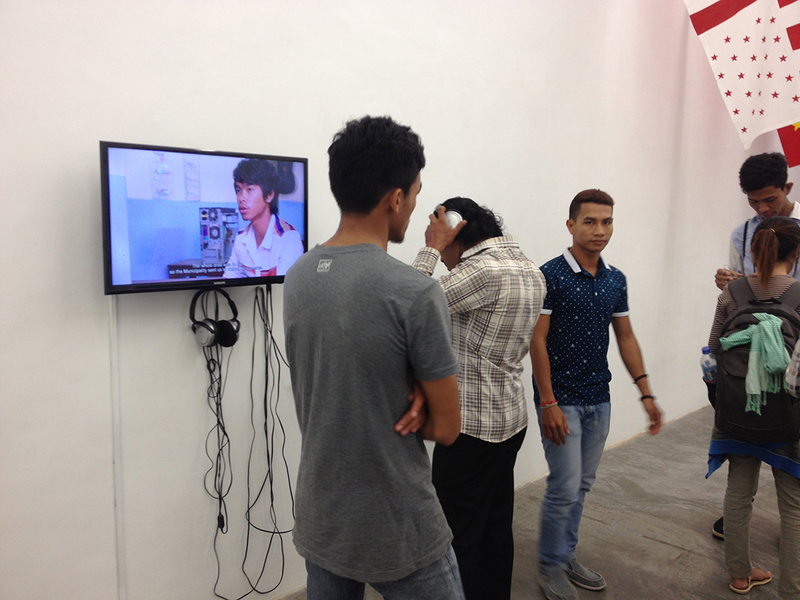 Where: Royal University of Fine Arts, Phnom Penh. 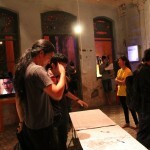 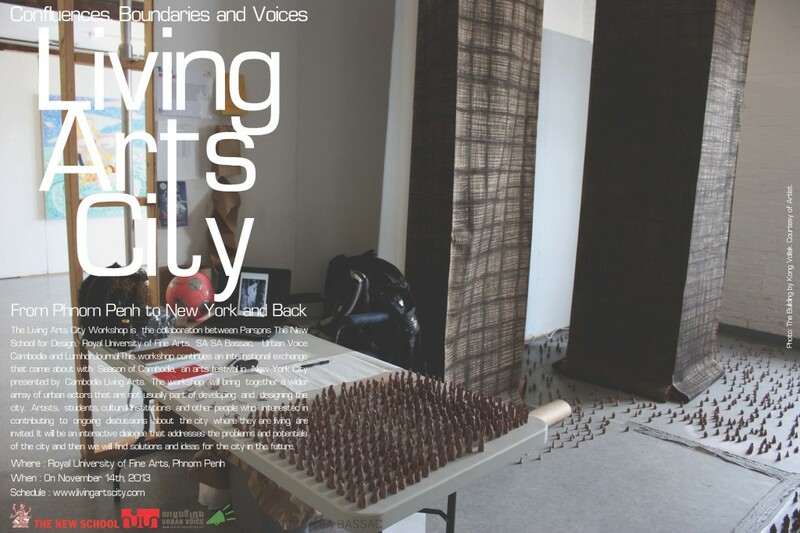 Topic: Confluences, Boundaries and Voices: Living Arts City, 2013. 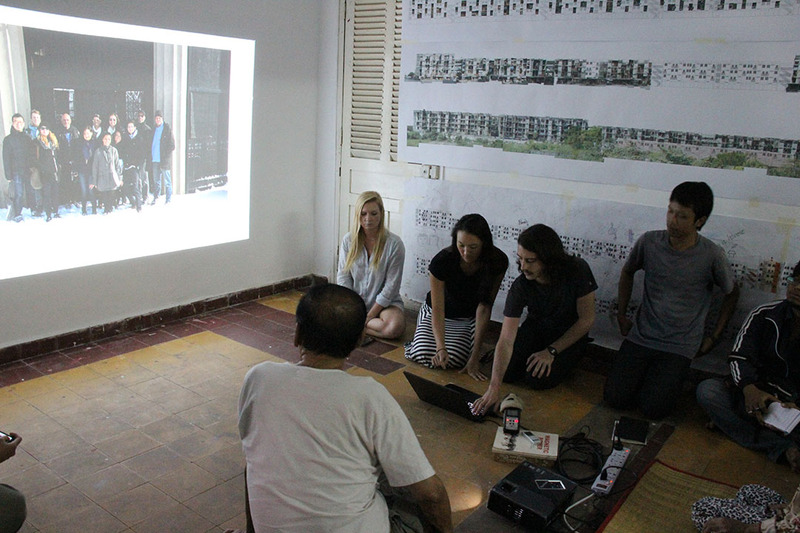 Three students from the Master in Transdisciplinary Design (MFA) were asked to act as facilitators during the Living Arts City Colloquium. 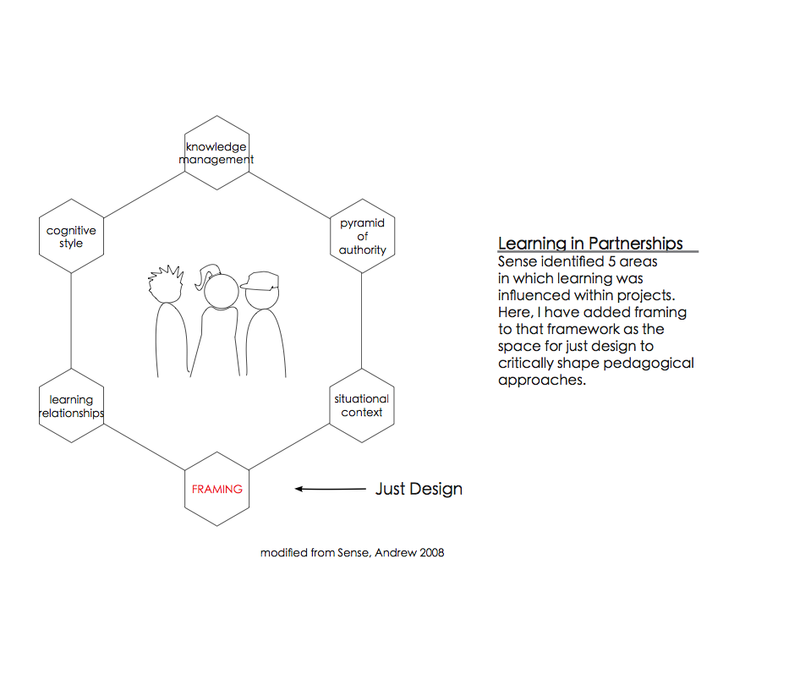 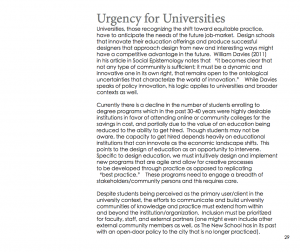 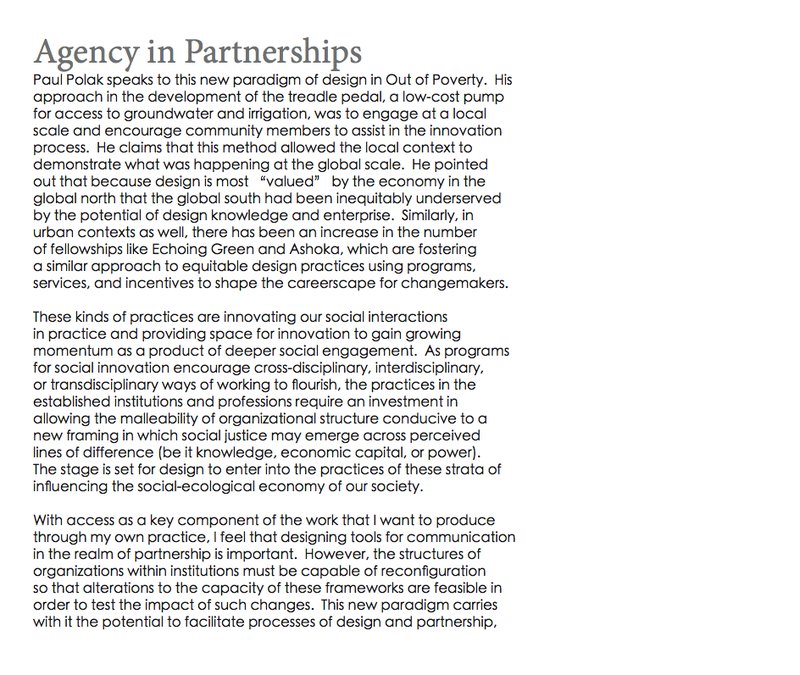 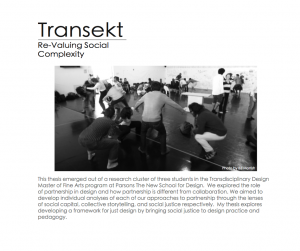 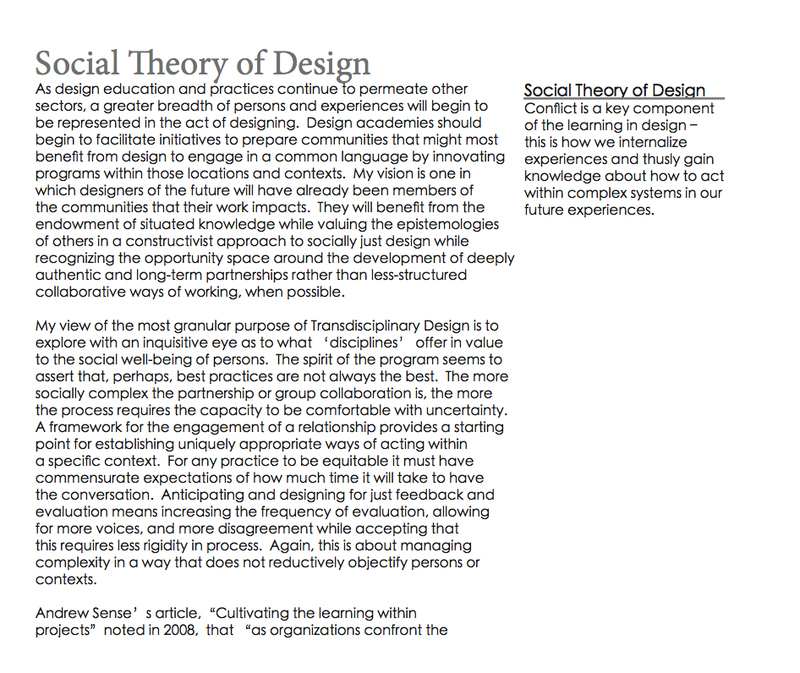 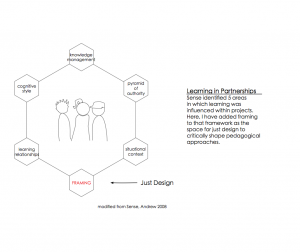 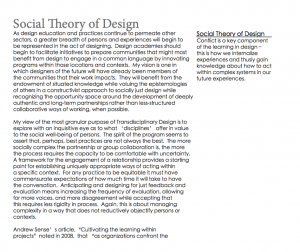 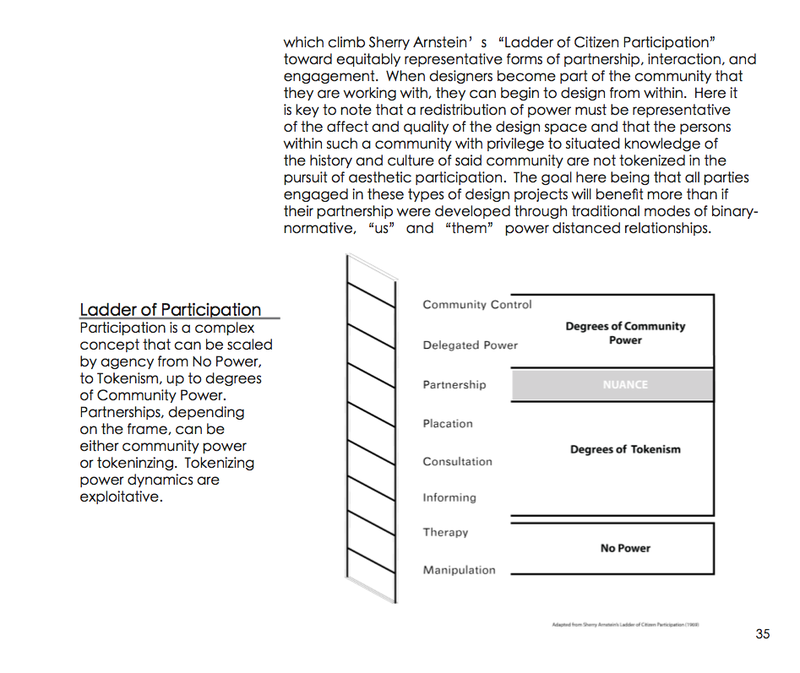 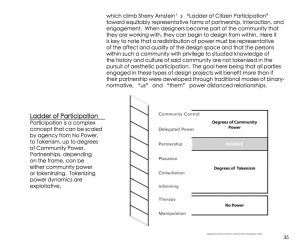 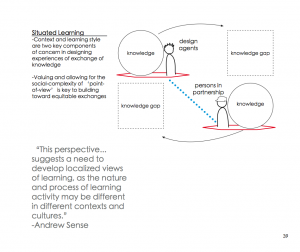 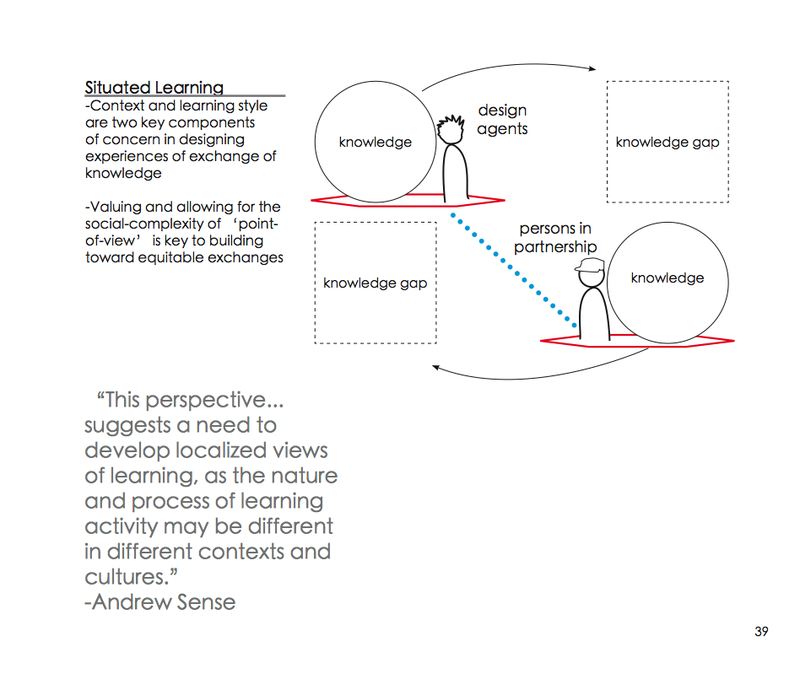 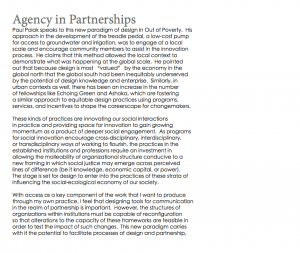 Here’s an excerpt from the thesis of Rashid Owoyele, which explores developing a framework for just design by bringing social justice to design practice and pedagogy.